How is Salvia Divinorum Used? As mentioned in a prior article, salvia divinorum is usually smoked, chewed or brewed. 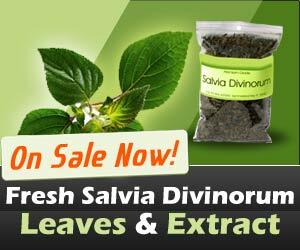 When you find salvia divinorum for sale, it will usually be in an extract or dried leaf form. Dosages vary based on how you intend to use it and the type you have selected. Salvinorum A is the active ingredient in salvia divinorum and is the most powerful psychoactive that occurs naturally. The dry leaf form is usually smoked. 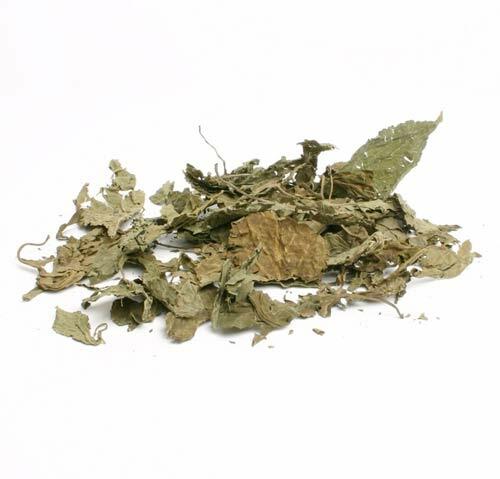 Leaves normally aren’t as potent as salvia divinorum extract, simply because it is very concentrated. When smoking, users generally prefer a water pipe to help cool the leaf’s smoke. Extract can also be smoked, and since it is concentrated, it is more potent. Enhanced leaves have been enhanced with extract, and are known as salvia divinorum 10x or salvia divinorum 20x, indicating the amount of concentrate used. When smoking, users generally use a quarter, half or three-quarter gram of dried leaf. The amounts equate to a light, medium or heavy dose. Users can feel its effects in as little as 30 seconds or up to two minutes. The ultimate experience can take as long as five minutes to happen and the salvia divinorum trip can last up to fifteen minutes. Salvia divinorum extract doses are dependent on the potency. For example, smokers using a 5x extract will use 1/20th to 1/4th gram for light, medium or heavy usage. If more powerful extracts are used simply scale the dosage accordingly. The leaf can also be chewed in the same way as chewing tobacco. The leaves are moistened with water, placed between the gum and lip and the juice is swallowed. Doses for fresh leaves are 10 grams, 30 grams or 50 grams for light, medium or heavy use. If you are using dried leaves, the doses are 2 grams, 6 grams or 10 grams for light, medium or heavy usage. Chewing the leaf seems to produce an extended experience. A tincture can also be used; however, it is less common than smoking or chewing. Tinctures offer a mild to high experience depending on its potency. It can be diluted with water and is usually taken with an eye dropper. Tincture is made by grinding the leaf into a flour consistency and adding isopropyl alcohol. It is quite a process; therefore it isn’t as common as the other forms.